waiting process after recieve please check your money before leave. the rate that shows on board is in Thai baht currency therefore rate mean how much Thai bath use for 1 unit of that currency you are looking for EG. mean we will buy your USD 100 note for 32.08 baht per 1 dollar so 100 x 32.08 = 3208 baht mean we will sell your USD 100 note for 32.15 baht per 1 dollar so 100 x 32.15 = 3215 baht so easy way is remember mutiple for other currency with rate. divide for Thai currency with rate. basically our rate is better than commercial bank since we are specialist in exchange money only. Kin-exchange has own system. kin-exchange use programmer make specific program to use in our business also you can check our rate online with mostly zero to non delay rate with front shop! our bill will show all detail split each bank note . you can clearly see every currency value. 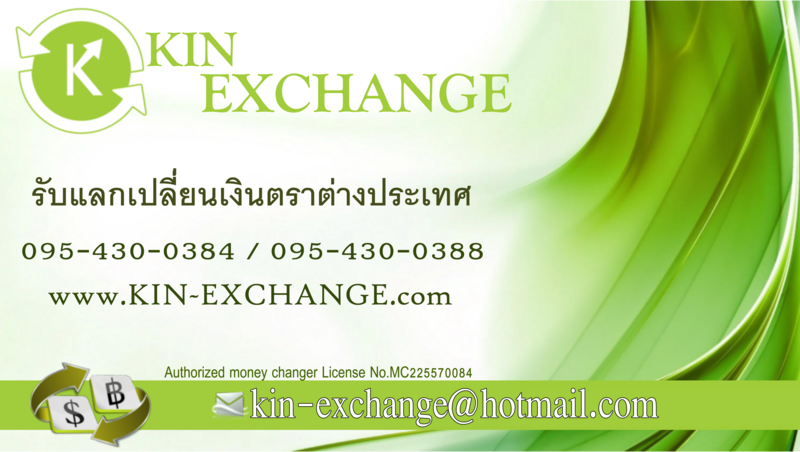 mostly exchange shop in HatYai do not has Licence no. or proof from Bank of Thailand . you has risk to make laundry money exchange and with no use of tools , you might get fake money easier than us. we use IR detect and UV checking with experienced staff work in money field more than 5 year. 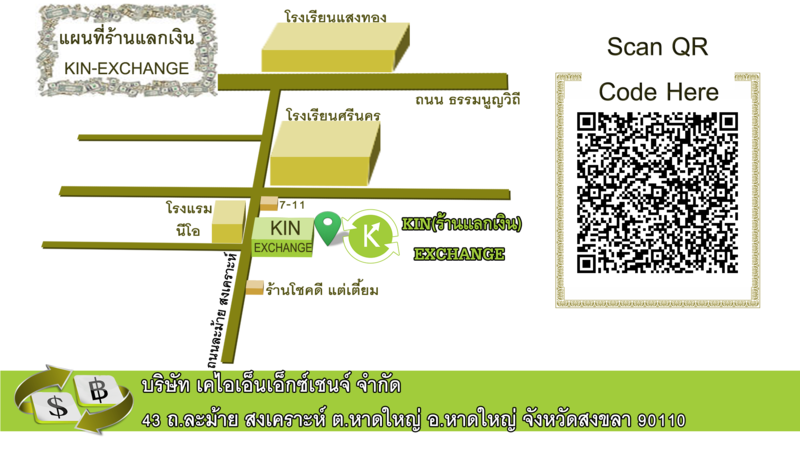 As you can see in HatYai still use old system phone call but Kin-exchange use phone and IT help your life easier and connect with your, we have website , phone , application for smart phone. Why lot of people exchange USD to Korea ? is that good idea? KRW is mainly use in korea you can use in every shop in korea. lose of changing , you have to change USD to KRW again to use it. How about if I will go to Myanmar ? 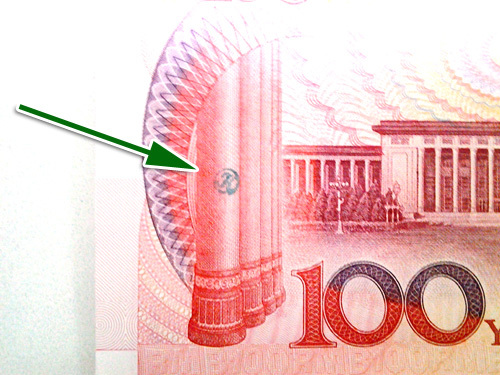 if you are going to Myanmar please tell us first since Myanmar is not take folded banknote , stamped banknote. we will fine most newly banknote for you (this service has little charge). Application in smart phone ? Fake money of China Yuan !! many customer like to take small value note to travel so they will not get complain from grocer. 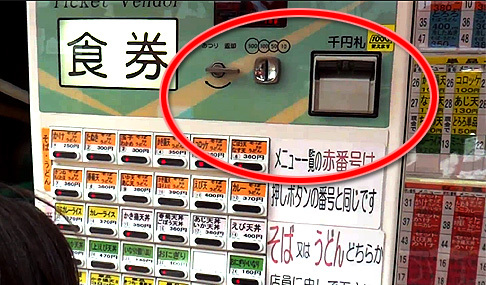 But in Japan where the auto machine is all around their country you can split your big value note in it!! so convenience ! !